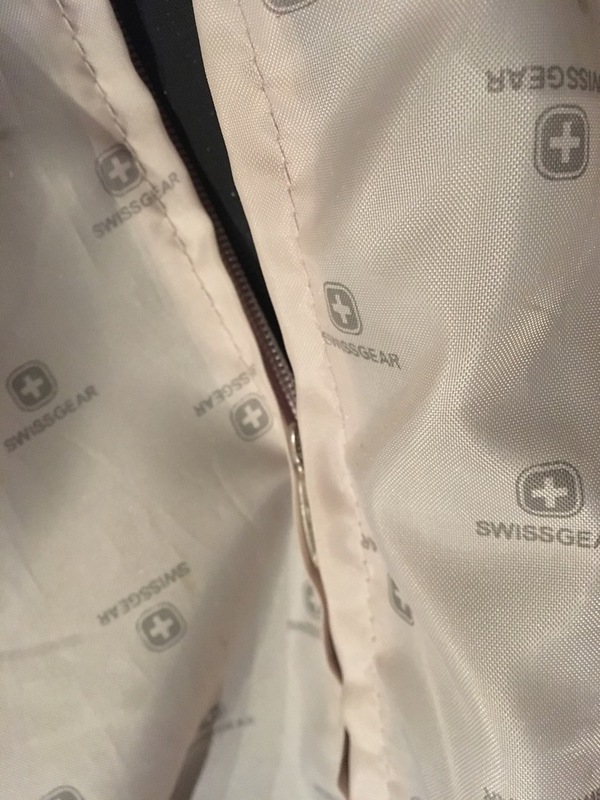 Swiss company Wenger S.A. produces a decent range of suitcases under the brand of Swissgear, but they aren't generous when it comes to spare parts. 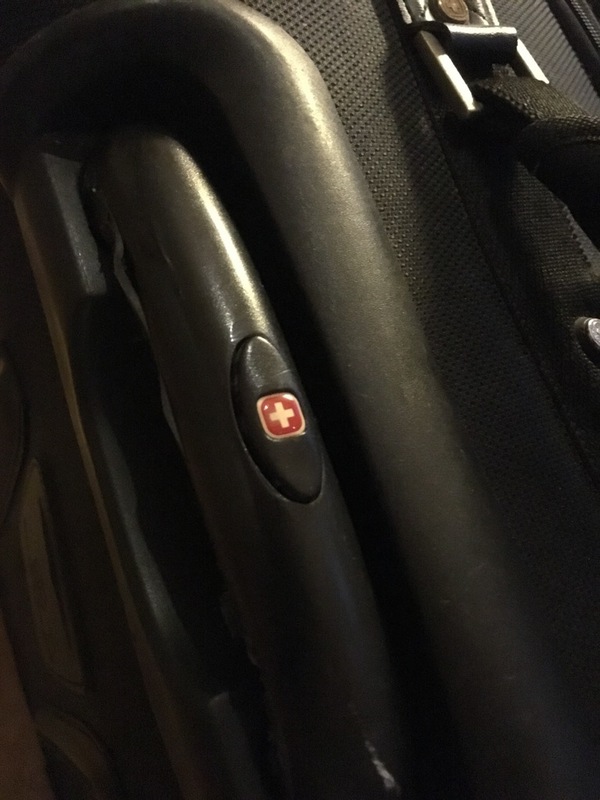 When the telescopic handle on our suitcase stopped working (ie, the push-button wouldn't allow the handle to extend) we did some web searches to figure out our options. 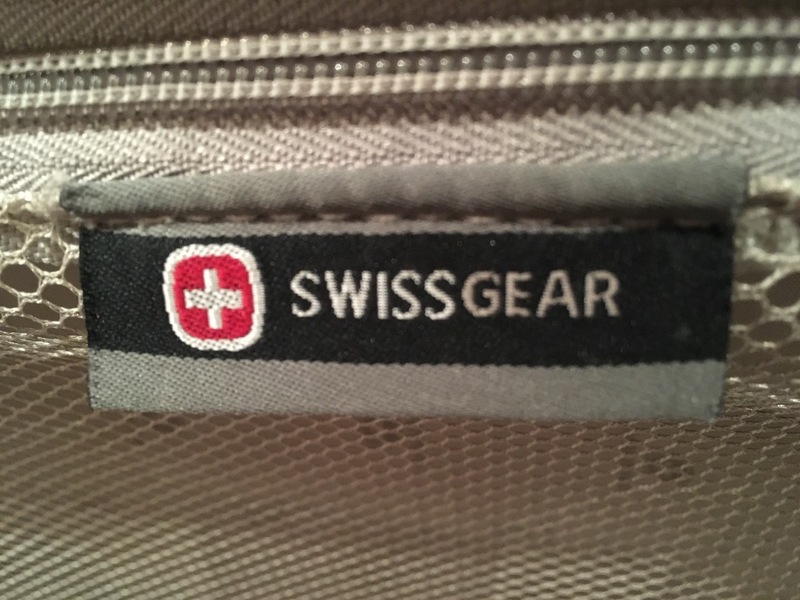 The first option was the Swissgear 3-year and 5-year warranties, but our suitcase was too old for that. 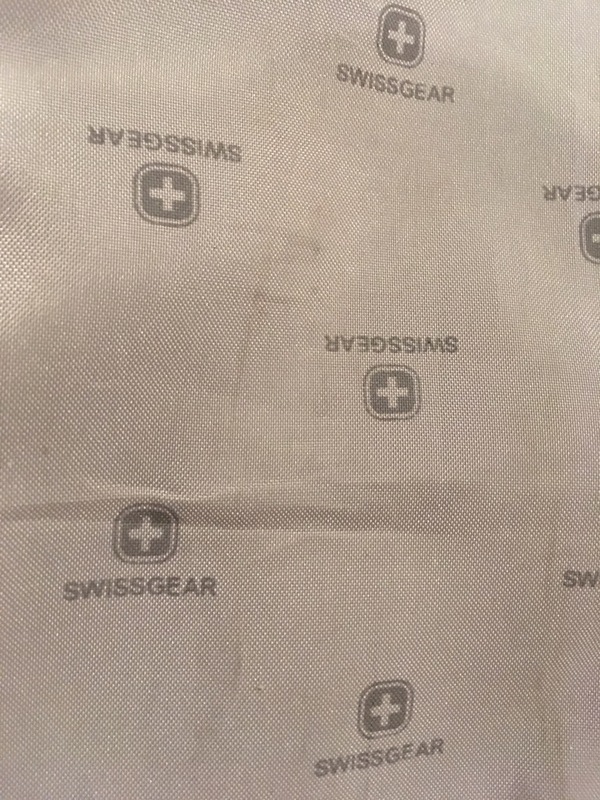 Swissgear didn't offer any spare parts - and (amazingly) neither did eBay. In fact, all we could find was people complaining about their broken handles! 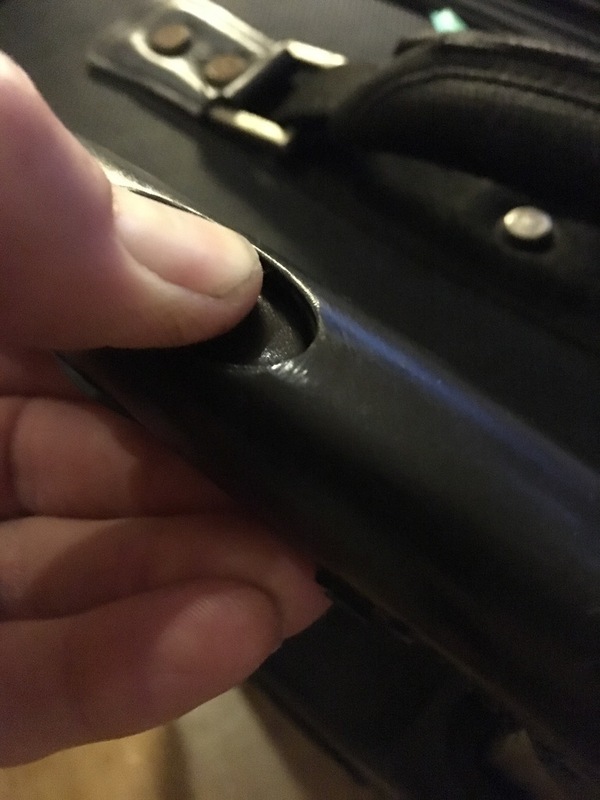 Not wanting to give up on an otherwise excellent suitcase, we unzipped the liner and unscrewed the plastic cover at the handle end of the two metal tubes. We also undid the screw holding each tube to the foot of the case. After a bit of tugging the rods came free and we simply pulled them free of the suitcase. To actually get to the mechanism inside each black tube, we unscrewed the handle (two more little screws) and the ends of the push-rods were now visible. 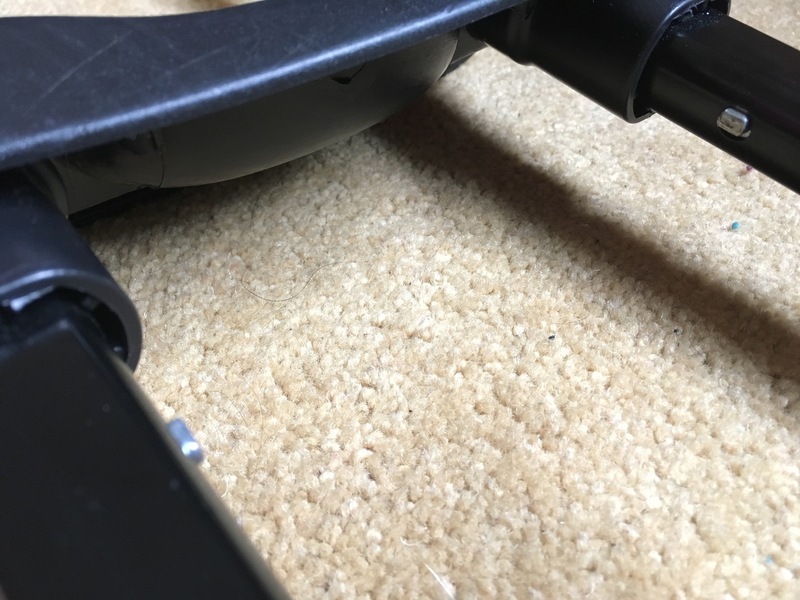 We found that each one could be removed from its black tube simply by pushing the spring-loaded retaining pin in and pushing the push-rod down and out the bottom of the black tube. When we did this, we found a break in one of the green plastic chunks holding the spring-loaded pin. 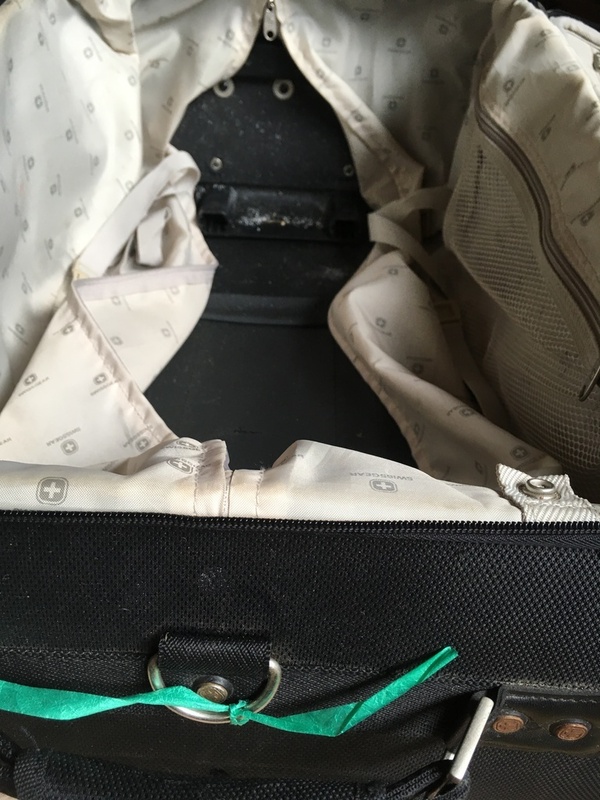 In fact, the plastic chunk was in two pieces - which explain why pressing down on the suitcase's telescopic release button was having no effect! To fix this we simply super-glued the plastic chunk back together, being careful to keep glue away from the actual springy mechanism contained therein. After that (plus a bit of WD-40 to help), pressing on the rod caused the spring-loaded pin to disappear inside the mechanism. Success! 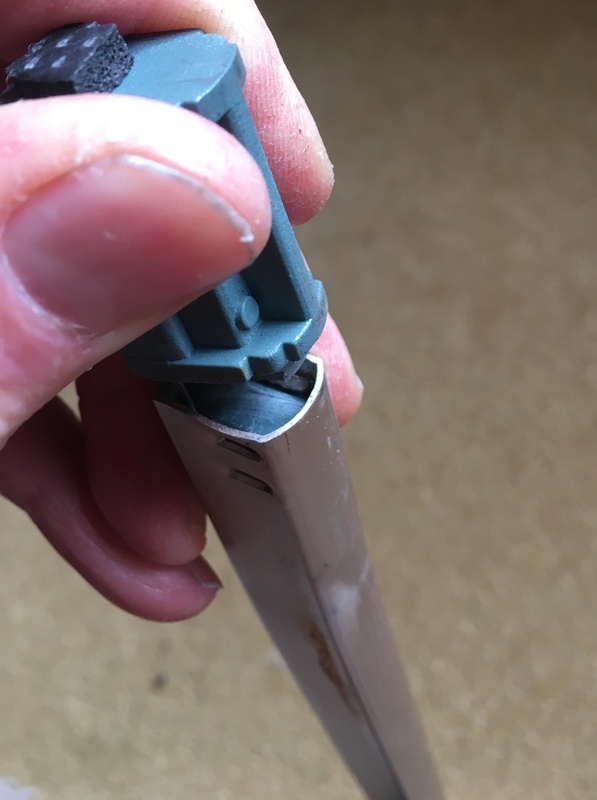 We put each push-rod mechanism back inside its black tube, fixed the handle back on, and checked that the handle button now made both spring-loaded pins to retract. 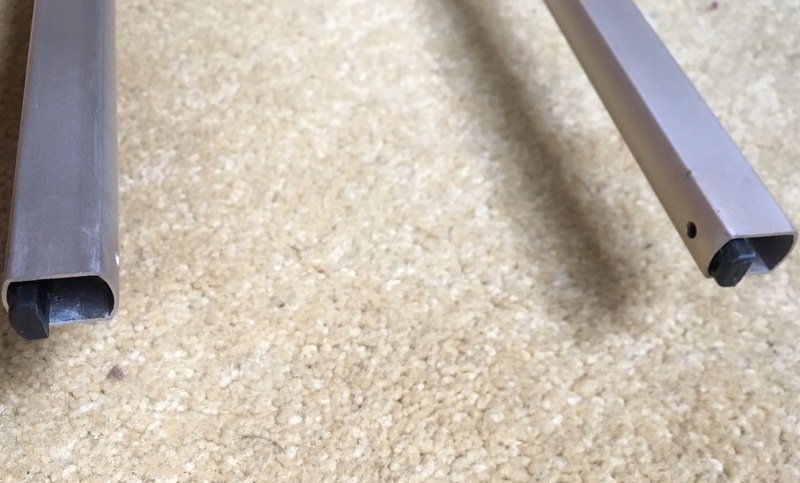 Our handle appeared to be fatally broken, but in reality needed only a fairly simple repair. Very satisfying result and definitely worth the time to take it apart before binning the suitcase.